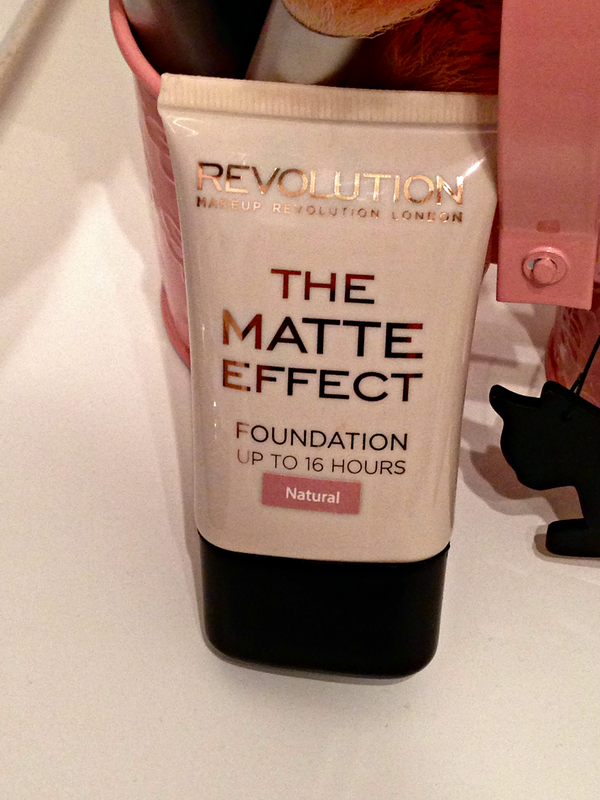 Make-up Revolution: The Matte Effect Foundation Review! Even though I said a few months back that I'd have a massive clearout on all my make-up, I'm still finding products hidden away. Whoops! Not only have I realised that I need to stop buying things I don't need, but I also know that I really need to sort my organisational skills out! I'm terrible! The latest discovery is my Revolution Matte Effect Foundation. I actually cannot remember buying this and I have no idea how long it's been hidden away. Obviously to make up for lost time, I thought I would get straight to reviewing it! I'm not sure if you can tell completely in the picture, but the formula is so runny that it's actually a little uncomfortable to put on your face. It didn't feel like it was going to "set" and leave the matte effect but it did with a litte help from my powder. Even though this foundation was only £2, I was a little surprised it was slightly better like other Make-up Revolution products I've tried in the past. The lasting power was quite bad and even after a few hours I could see my blemishes and dark circles starting to show through. Personally it's an okay foundation on it's own but I'd promote it more as a mixer for you to use with other foundations - maybe ones that are too light and need darking up or foundations that are too matte for your dry skin. On it's own though, it's not for me! You can check it out for yourself though on the Superdrug and Make-up Revolution website here! I'm ashamedly a bit of a foundation snob, this mostly because when I was younger I had awful skin! It's a shock that this wasn't better, normally Makeup Revolutions products are on point! Ah atleast you didn't waste too much money on a disappointing product! I know what you mean about it being too runny. I had a similar one a while back and it ended up caking everywhere. I'm glad I didn't buy this as I was eyeing it up a while ago! I do need a long lasting foundation..so I may give this a miss! I like Makeup revolution's powder products like highlighters and blushes but foundations and concealers are not appealing to me at all. This review is really nice! Now I need to try this out! !